The specially-priced 12-disc collection features a dozen Lifetime Original Movies -- over 17 hours of some of the most-popular, holiday-themed dramas and comedies to ever air on the Network! THIS HOLIDAY SEASON, GIVE THE GIFT OF A LIFETIME WITH Lifetime Presents: 12 Days of Christmas , A SPECIALLY-PRICED COLLECTION OF A DOZEN OF THE NETWORK'S BEST-LOVED HOLIDAY FILMS! 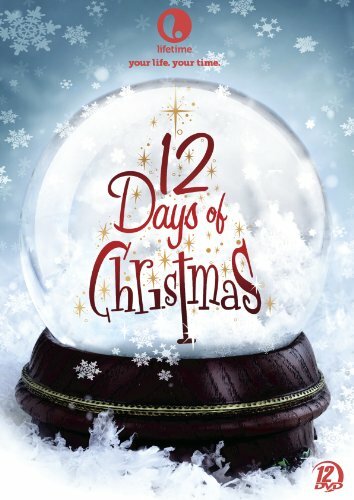 This holiday season, nothing will warm the hearts of loved ones more than Lifetime Presents: 12 Days of Christmas . The specially-priced 12-disc collection features a dozen Lifetime Original Movies -- over 17 hours of some of the most-popular, holiday-themed dramas and comedies to ever air on the Network! Run Time: 17 hrs., 28 mins..